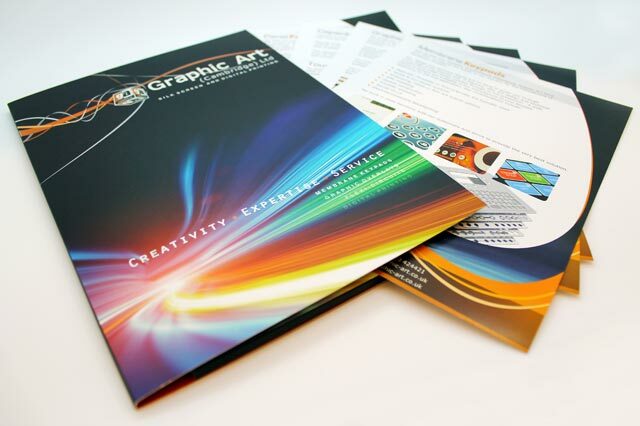 Exciting graphics both enhance your products and build brand awareness. 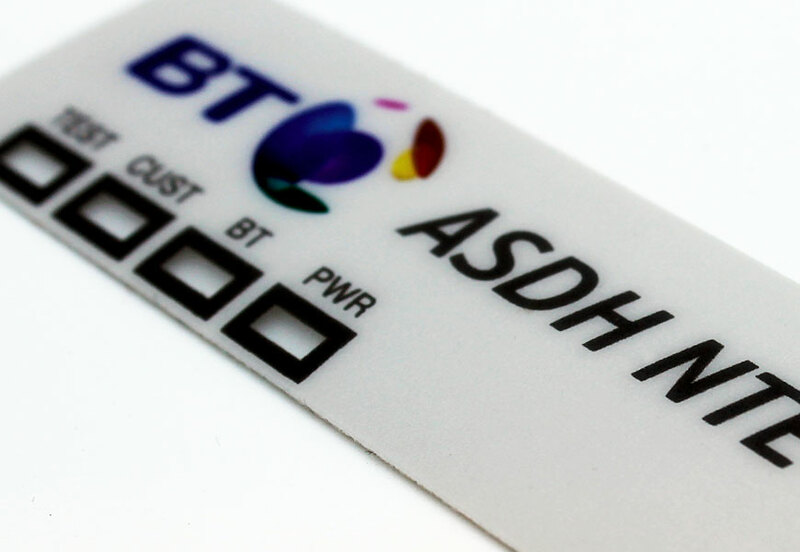 Generally printed under surface on transparent material, our graphic overlay solutions offer high durability to ensure your product looks as good as possible for as long as possible. This also allows the incorporation of clear or tinted windows for use with underlying components, such as LEDs or display screens. Using the latest in both silk screen and digital print technology, you can be confident that any design or corporate colouring you may require can be applied. 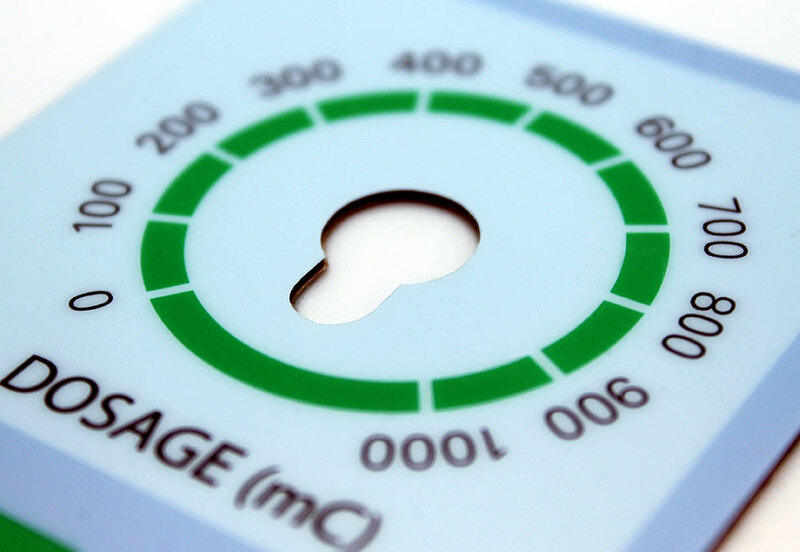 Our use of Spectrophotometry and Densitometry ensures accurate and consistent colour matching to both existing mouldings and metal work and also across a range of multiple products. 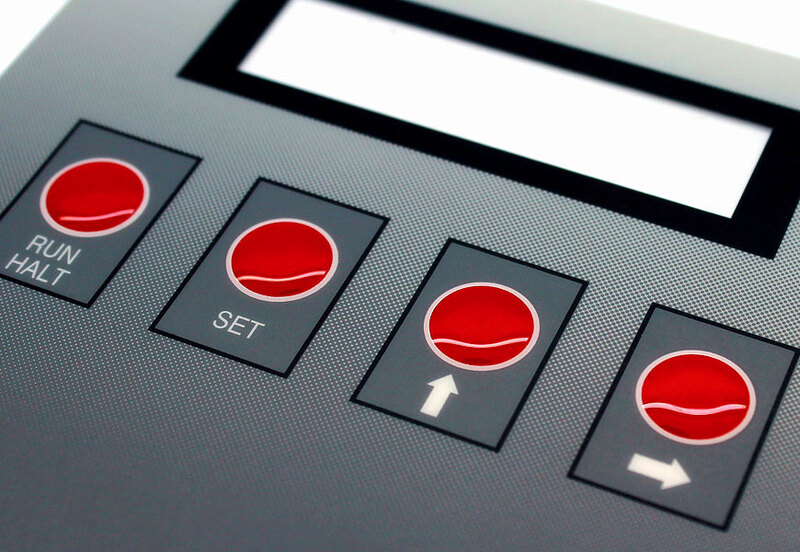 Four button matt finish overlay with gloss embossed buttons, coarse gradient styling and clear window. Operation dial graphics with complex cut out for inclusion of variable resistor. 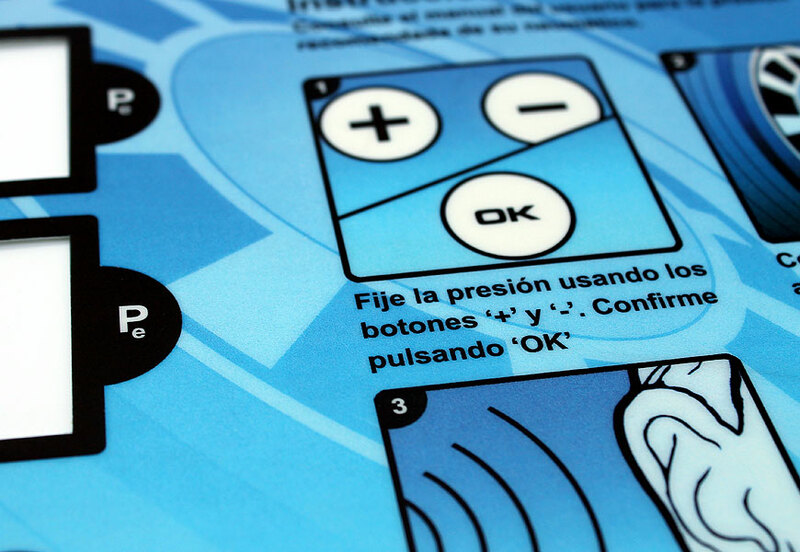 Digitally printed instructional push button overlay. 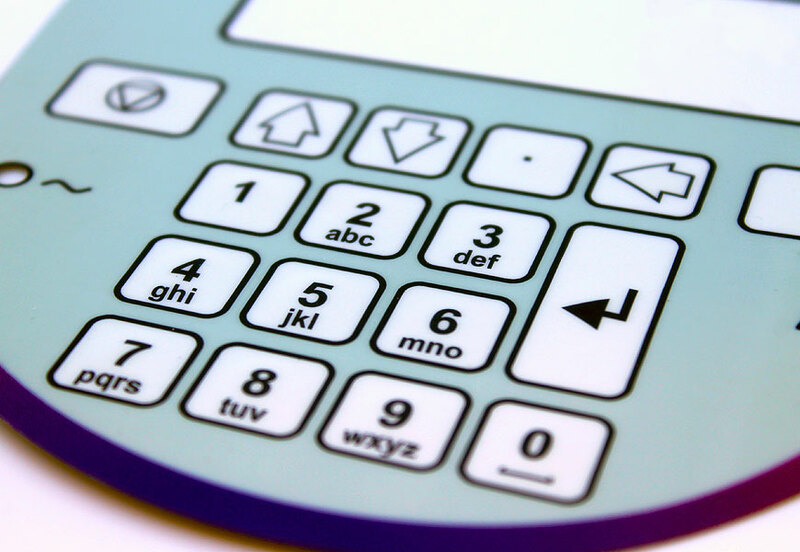 Contour cut, screen printed numeric keypad with clear operations panel window. Digitally printed product branding panel with LED windows. 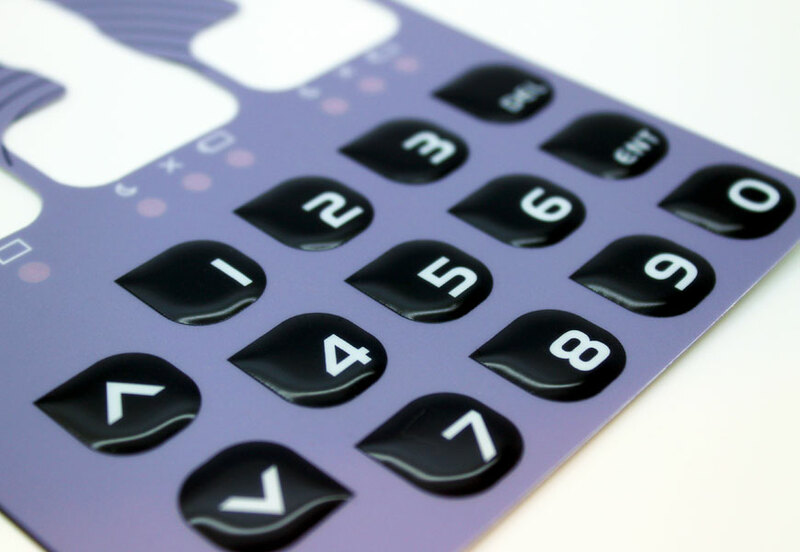 Numeric keypad overlay with LED windows and unusually shaped embossed keys and cut outs. Matt finish control panel with LED windows and gloss rim-embossed key edges. Your choice of gloss or textured finishes are easily applied, and with our hard tooling and CNC cutting facilities, your fascia can be profiled to fit almost any size and shape, offering near unlimited possibilities in terms of what is achievable. 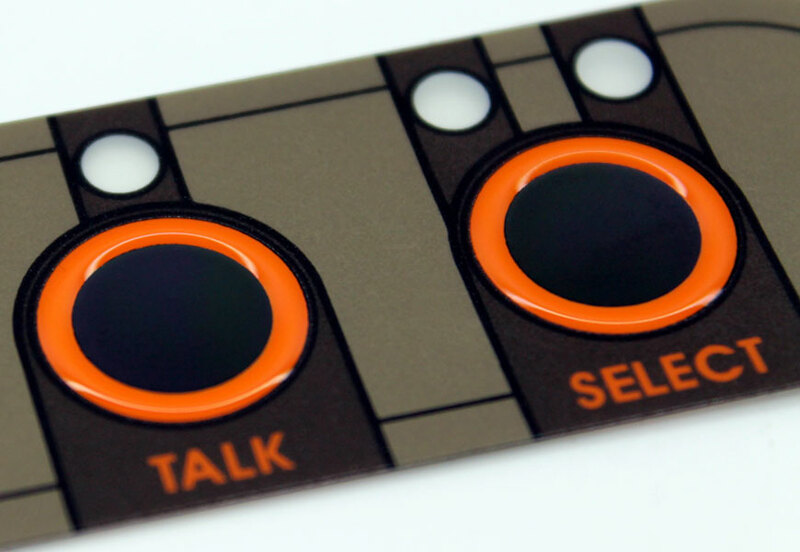 Overlays can be embossed, for use in conjunction with a membrane keypad or underlying electronic components. This provides a level of user friendly human interface not achievable with mechanical buttons or exposed PCBs. We can also provide anti-flammable, anti-spark or antimicrobial protection and stock a wide range of adhesives to cater for virtually any substrate, surface or environment. Our technical teams will offer valuable input into the design of your product and we can provide a selection of design prototype options printed on the actual substrate material, enabling you to make an informed choice prior to committing to hard tooling or larger print runs.